Dutch Glow Cleaner Review -Is it really all it says it is? Does the Dutch Glow Cleaner Really Work? There are so many different types of cleaning jobs that have to be done around the home, that it can be expensive buying all the products necessary to get the job done. When you can find one cleaner that can do multiple tasks then it is sometimes worth paying a little extra for it. That’s provided it does a great job on all the different surfaces it says it can clean. Dutch Glow Cleaner just might be up to multiple cleaning tasks. Dutch Glow Cleaner is being marketed as a cleaner that is capable of cleaning many different types of surfaces. It is concentrated so you can dilute it with water which gives you much more for your money. The promoters of Dutch Glow Cleaner indicate all you have to do is add one ounce of their product to the squirt bottle that comes with your order then top it up with water. Then you have a cleaning solution that is able to clean many surfaces like counters,microwaves, and many of your appliances as well as greasy pots and pans. 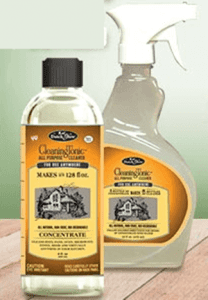 Most people really enjoy using a multi-purpose cleaner as it saves time and money so there is not much hype that is needed to promote this product. Plus, they say it is a spray and wipe so no rinsing is needed. An added bonus is that it is non-abrasive so it is safe to use on glass stove tops. Also, the name Dutch Glow is well known. If you purchase Dutch Glow Cleaner from the promo site you will pay $19.99 plus $7.95 shipping and handling. For this you will get one bottle of cleaning concentrate,1 spray bottle, 1 scrubber,1 microfibre cloth, and 1 eraser sponge. If you want to add an extra $7.95 to your order you will also get 1 scratch aide kit (2 bottles.) This product is also available on Amazon where currently you will pay $20.96 but it is unclear as to whether you get all the additions to it like you get from the promo site. You are not going to have to make any more of a commitment to your cleaning tasks than what you already do. You may have the extra step of mixing the Dutch Glow Cleaner with the water, but that only takes a few seconds. There are a lot of things that we like about the Dutch Glow Cleaner. First we respect the name Dutch Glow. We also like the fact that there is already some feedback on Amazon about it with a 3.3 star review based on 68 reviews. We are giving the Dutch Glow Cleaner a Try/Buy rating. Even though overall it has a decent rating there are still some significant complaints about it now bring us to the conclusion of not giving it a full thumbs up. There are several that have complained that it does not live up to its promo hype. Then you also have to take into consideration as to what it was being specifically used on and what type of stains were being attempted to clean. Some are saying it doesn’t remove grease with just one wipe. This leads us to thinking that maybe all those extra additions that come with it when sold on the promo site are playing an important role in just how effective the Dutch Glow Cleaner really is. If you already have two or three products that you use for different cleaning tasks then you may be better off just staying with them rather than investing in the Dutch Glow Cleaner. There are other products on the market that have really been hyped up in the marketing efforts that are also failing to perform to their expectations. For example, check out the review and comments on the CLR. What do you think? Does the Dutch Glow Cleaner work or not? Does the Shark Sweeper Really Work? Does Screen Magic Really Work? Does Sani Sticks Really Work?